2016 is the 100th anniversary of the birth of the DADA art movement. This movement was born as a creative reaction to the complex chaos and societal upheaval of the First World War. 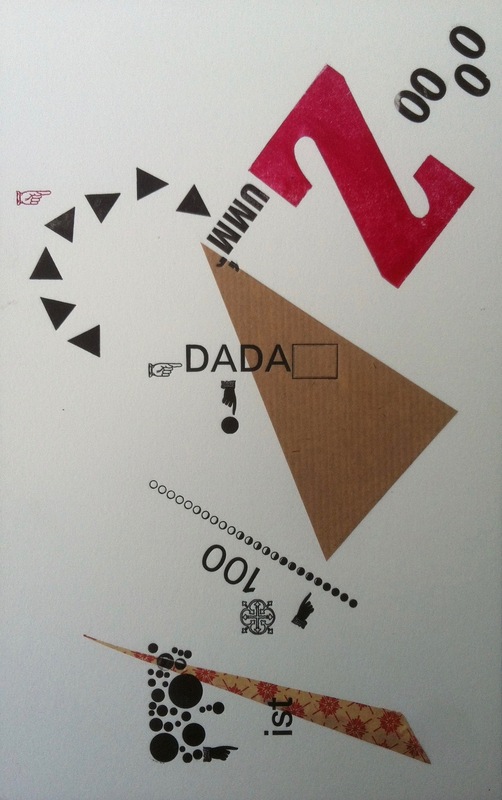 DADA is diverse, influenced by other avant-garde movements it encompasses many art forms of which text and letterpress were included. 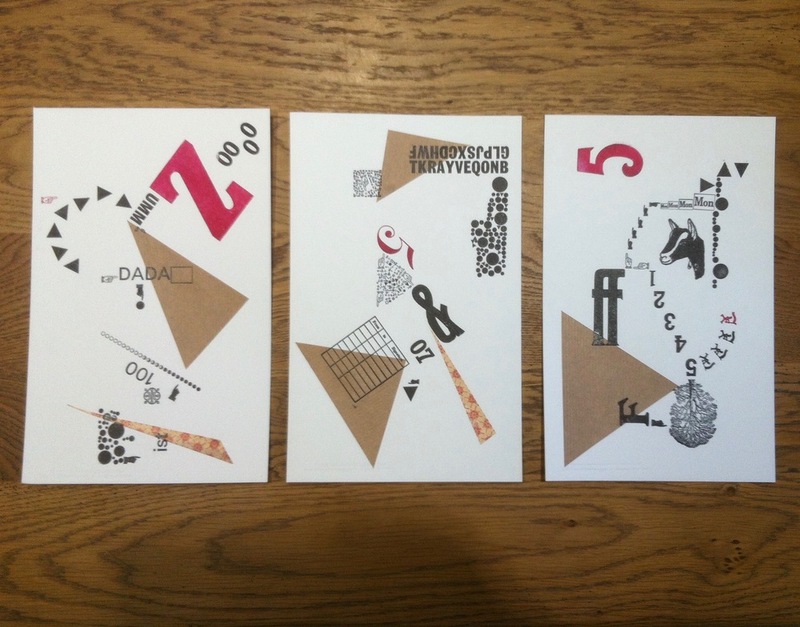 Marc Berger, of Edition Schwarzdruck, invited select artists to contribute new prints to DADA ist 100 an international exhibition celebrating this centenary. In all 62 presses in 11 countries are included in the exhibition which opens in the contemporary book art and printing gallery, Eremitage Gransee in Germany in July 2016 before travelling around Europe. 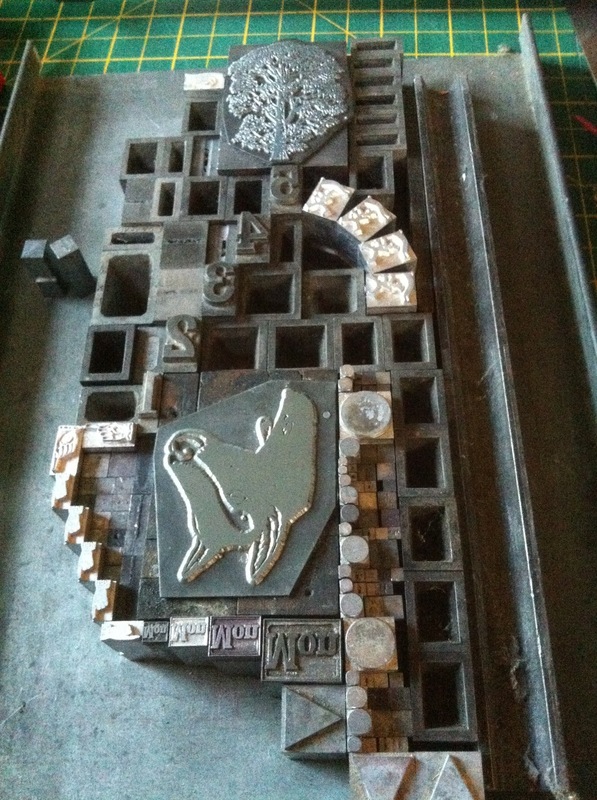 At the birth of DADA all text would have been printed letterpress and conformed to its rules and physical constraints. My works play with these restrictions, trying to smash the grid while still using the basic type material to make new connections within the new random page. Collaged elements add to the unpredictable nature of the prints. Despite trying to create truly random art I found the human desire to form connections could create a story for each piece; Out of Place (Zumm), Out of Character (manicules), Out of Time (goat).